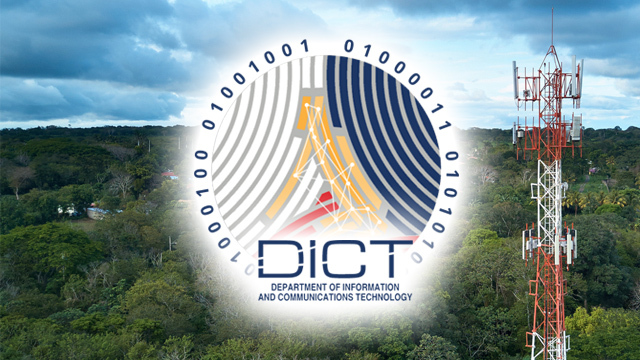 The Department of Information and Communications Technology (DICT) released last Monday, February 19, a joint memorandum circular that outlines the draft rules and qualifications for the third telco, as well as the selection process that the government will undertake in choosing the new player. “The entry of a new major player in the telecommunications market is a matter of paramount national interest which shall redound to the benefit of the public by ensuring genuine competition in the country’s telecommunications industry,” wrote the DICT in the circular. According to the criteria defined by the DICT, the bidder who offers the highest bid will be awarded the status of new major player. The bid consists of the net present value of the committed investment for five years and the net book value of the bidder’s existing telecommunications facilities. In the circular, the DICT outlined several legal, financial and technical qualifications that the new player has to meet. Legally, it must be a company with a congressional franchise or a consortium with at least one member who holds a congressional franchise. If it’s a consortium, Filipinos must hold at least 60 percent interest in the group. It must not be related to any telecom group with mobile and broadband wireless market share of at least 40 percent, and it must have no bidder’s liabilities. Financially, the participant must have a net worth of least Php10 billion. If it’s a consortium, it should provide evidence it has the capability to raise equity from its members to meet the minimum net worth requirement of Php10 billion. Technically, the participant or at least one of the members of the consortium should have a proven technical capability in operating a telecommunications service. Apart from these qualification requirements, the DICT also set out strict terms and conditions to make sure that the new telco player doesn’t just sit on the radio frequencies assigned to it and stick to its investment commitments. The third telco player is expected to post a pro-rated performance bond equal to 0.5 percent of its total investments for its first five years of operations, incentivizing the new player to execute its investments as soon as possible. The new player will also be required to deposit at least 30 percent of its annual investment each year for the first five years within a government financial institution, ensuring the availability of funds for the promised investments. In addition, the new player is expected to maintain a debt-to-equity ratio of 70:30, ensuring it remains financially stable. The DICT also specified requirements for the rollout of the third telco’s services. From the time that the company is awarded the franchise for the third telco, it must start commercial operations within 12 months. As well, the new player must be present in at least 80 percent of the country’s provincial capital cities, towns and chartered cities within five years of being awarded the franchise. Failure to comply with any of these provisions is subject to an “automatic recall” of the radio frequencies that the government will assign to the new player. The circular also highlighted that if the third telco does not maintain a debt-to-equity ratio of 70:30, the government will recall the award and give it to the second highest bidder. The tougher rules were adopted to make sure that the new telecoms player aggressively invests to expand services throughout the country. In the past, holders of telecoms franchises and radio frequencies merely sat on them for years because they did not have the financial and technical capability. Many were merely waiting to be bought out by investors who had the resources to actually invest and roll out a genuine telecoms service. According to media reports last January, three local companies have expressed interest in applying to become the third telco: listed technology firm Now Corp., telecommunications entity Philippine Telegraph and Telephone Co. (PT&T) and Pampanga-based Converge ICT Solutions Inc. These companies were also reported to be in talks with foreign entities to form their respective consortia. The telecommunications industry is currently led by two major players, PLDT Inc. and Globe Telecom. The government believes that the entry of a third telco will improve the country’s internet infrastructure and make the industry more competitive. Last November, it was revealed that President Rodrigo Duterte had talks with Chinese Premier Li Keqiang and offered the “privilege” of operating the third Philippine telco to China. The following month, China reportedly selected state-owned China Telecom Corp. to enter the Philippines’ telco industry, though it has yet to announce a local partner that will fulfill the 60-percent local interest qualification.